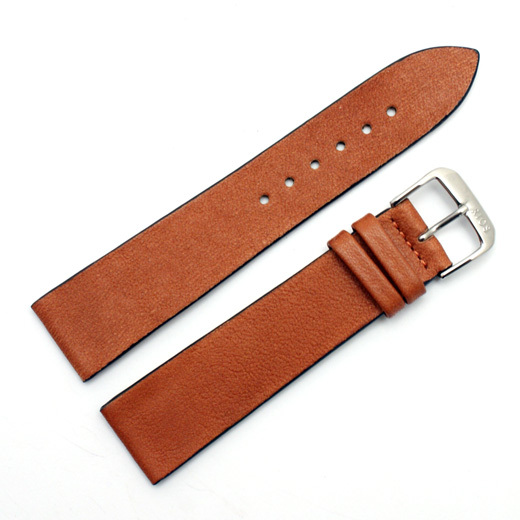 Finest Quality, hand made in Germany using a 172 step production process and with a keen attention to detail, this unstitched matt brown watch strap has a slightly pebbled finish, black cut edges and is made from very soft, certified organic leather in a plain, classic style. 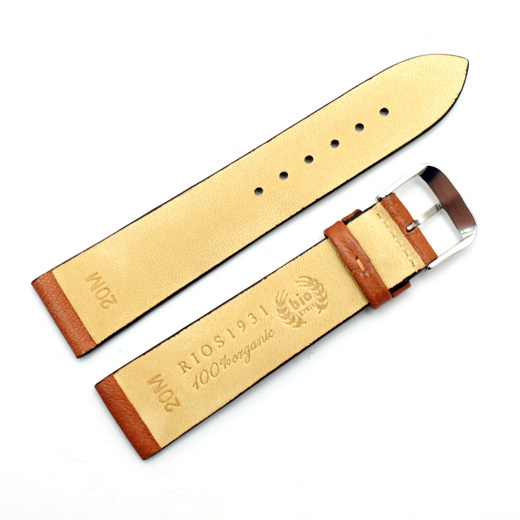 This strap is made from leather where all stages of the production chain are environmentally sustainable and certified organic, from the farm all the way through to manufacture. 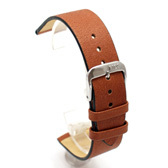 These natural and vegetable tanned straps are very soft and comfortable to wear.